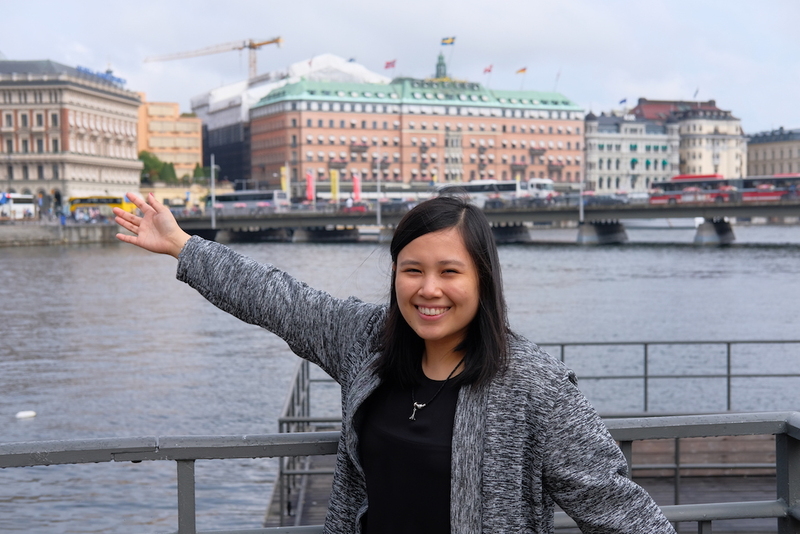 Stockholm remains to be one of the most expensive cities in the world, not only to live in, but to visit as well; and this, we experienced firsthand during our first trip to the Swedish capital four years ago, which I actually wrote about in 7 Reasons to Visit Stockholm. 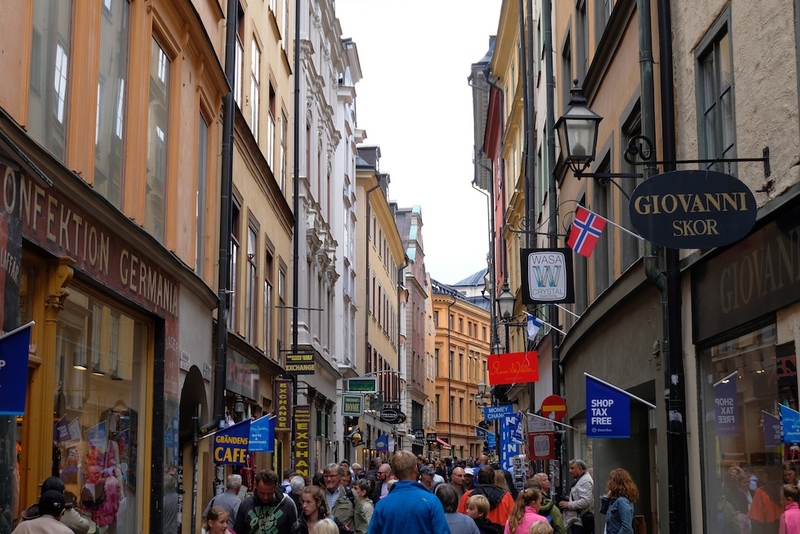 So when we saw that the cruise we booked last year was going to take us to this glorious yet expensive Scandinavian city once again, we decided to research on how to spend a day in Stockholm without having to spend much. 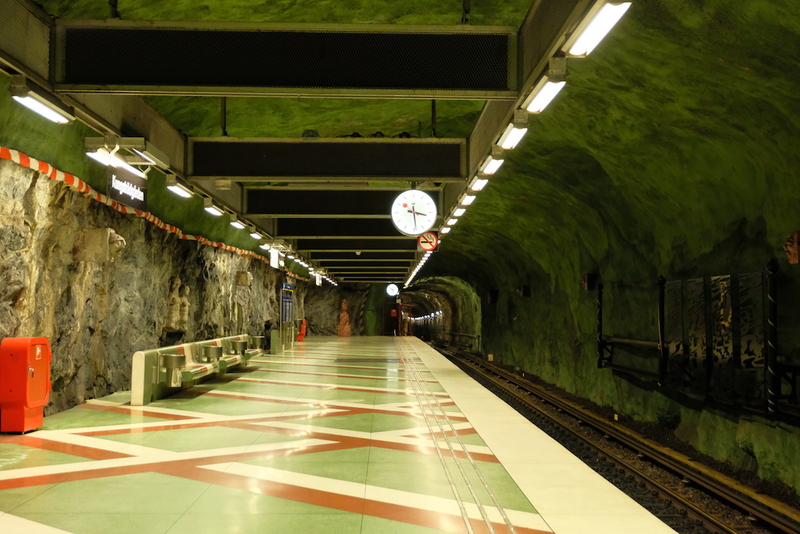 Important note: The only cost we incurred on this day was the 24 hour TravelCard we purchased (at 125SEK | US$15 per person) that gave us access to all subways, trams, buses, boats, and trains. 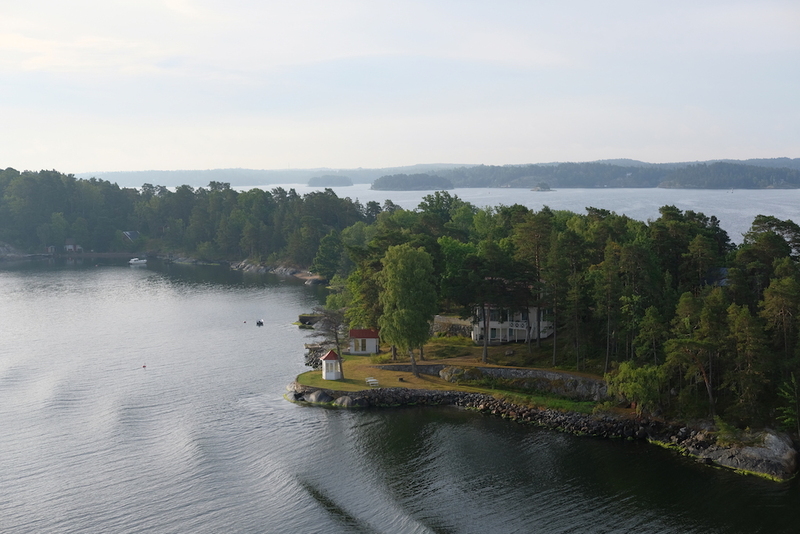 Before I continue on with my 10 recommended places to see in Stockholm for free, there is one tip I would leave for those who arriving into Stockholm via a cruise ship: head out on deck a few hours before your scheduled arrival, and you’ll be rewarded with a view of the beautiful islands of the Stockholm archipelago by sunrise. 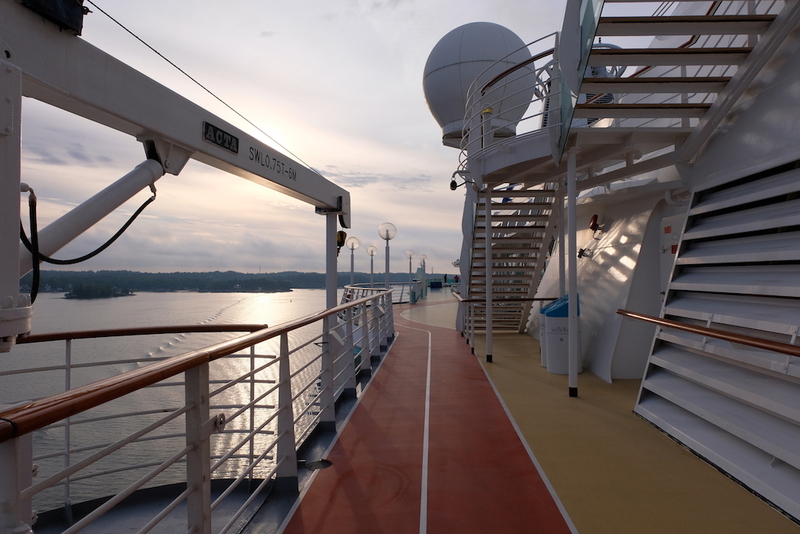 The views are incredible in every way imaginable, so let me leave it to the photos to do the talking. 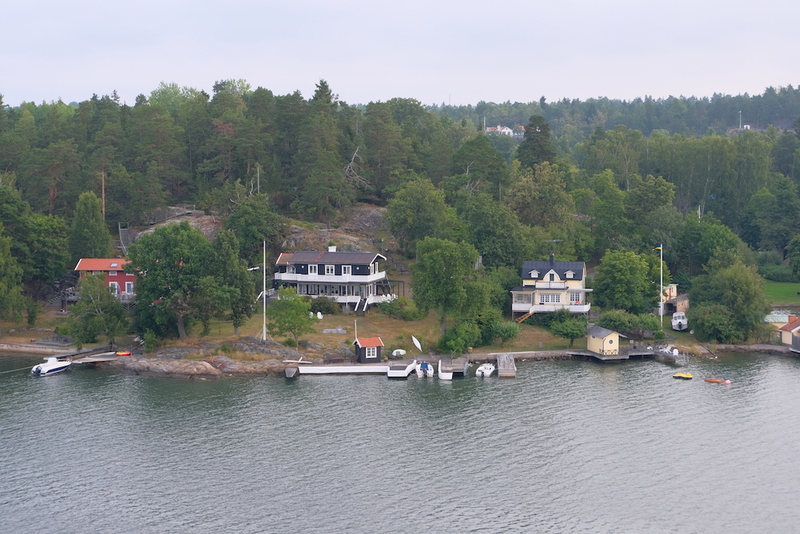 And now, while there surprisingly a lot of things to do for free in this expensive Swedish city, we zoned in those that be easily covered within a few hours, since for this trip, we were only there for less than a day. 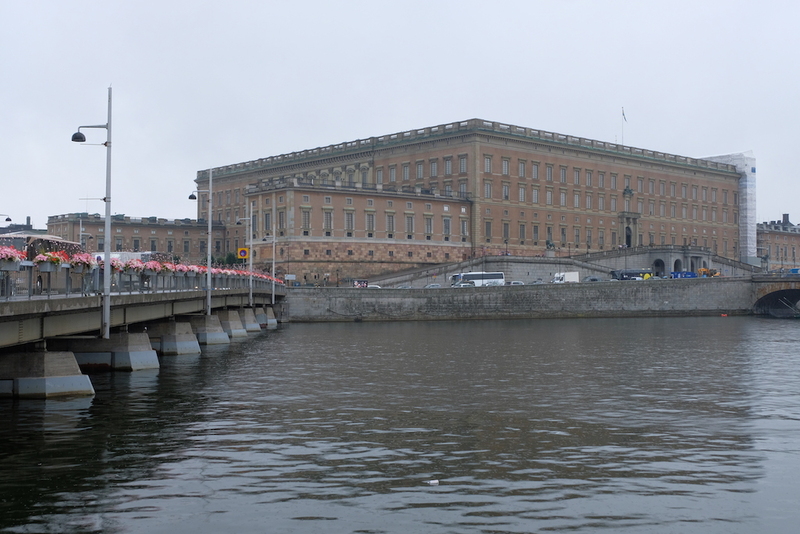 The Royal Palace is a great introduction to Stockholm, as it sits right smack in the middle of the city center and is the official residence of the King of Swden. 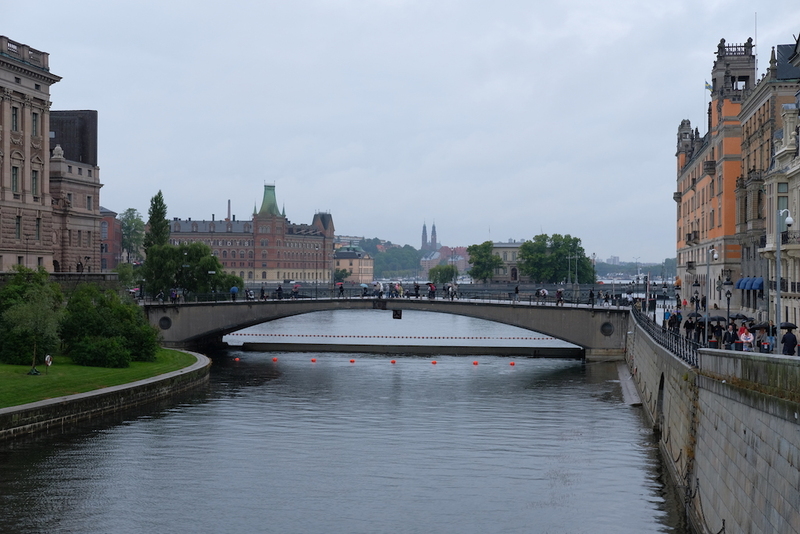 While it will cost 180SEK or US$20 to enter the interiors, you can easily enjoy admiring the exteriors at no cost, as you walk across the bridge fronting it. 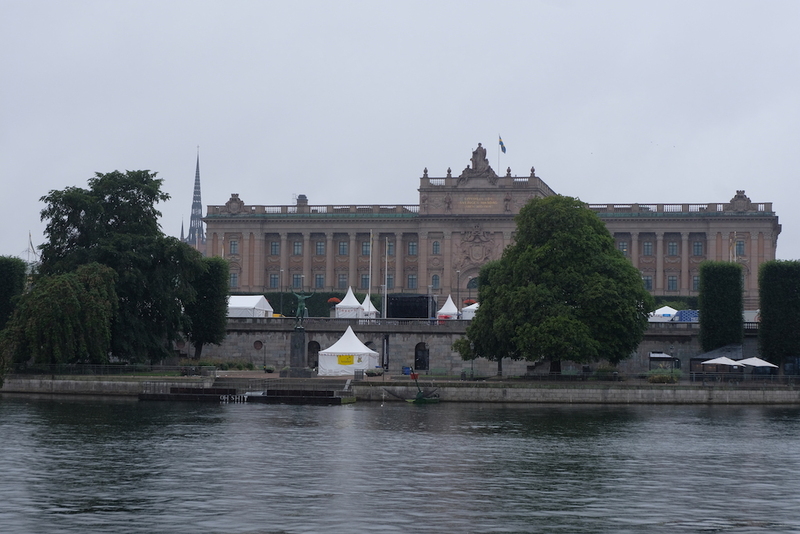 The Parliament House is yet another gorgeous structure in Stockholm and is strategically positioned right beside the Royal Palace. 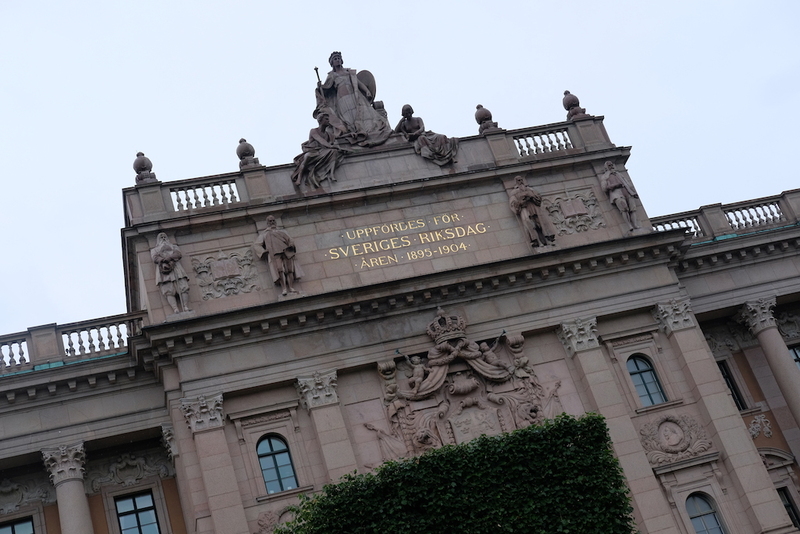 Also known locally as the Riksdag, this government building mixes Neoclassical and Baroque Revival architecture, making it one of the grandest attractions in the city. 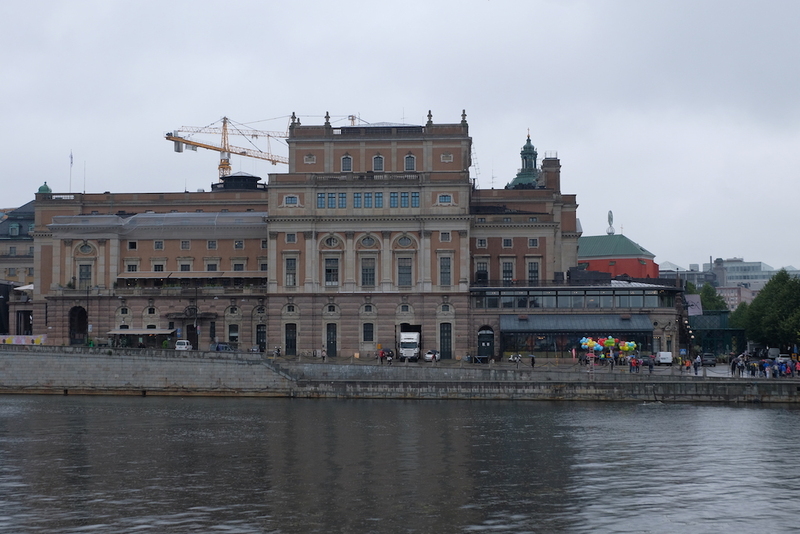 Located right across the Royal Palace and a main avenue & a bridge away from the Parliament House is the Royal Swedish Opera House, home to the National Ballet & Opera since the 1700s. 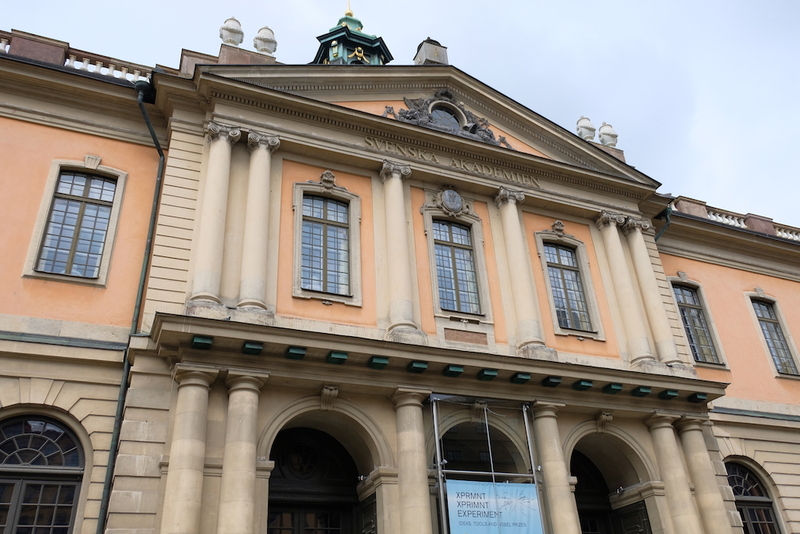 There’s a 120SEK or US$14 entrance fee should you want see the gorgeous interiors, but just like the Royal Palace, you can do without going inside and instead, focus on its architecture from the outside. After enjoying the fresh air of Stockholm for about two hours, it unfortunately started raining, so we decided to visit a museum nearby to shield ourselves from the rain. As aforementioned on this post, we purchased 24-hour TravelCards earlier, so we headed to our next destination via bus with no extra cost! 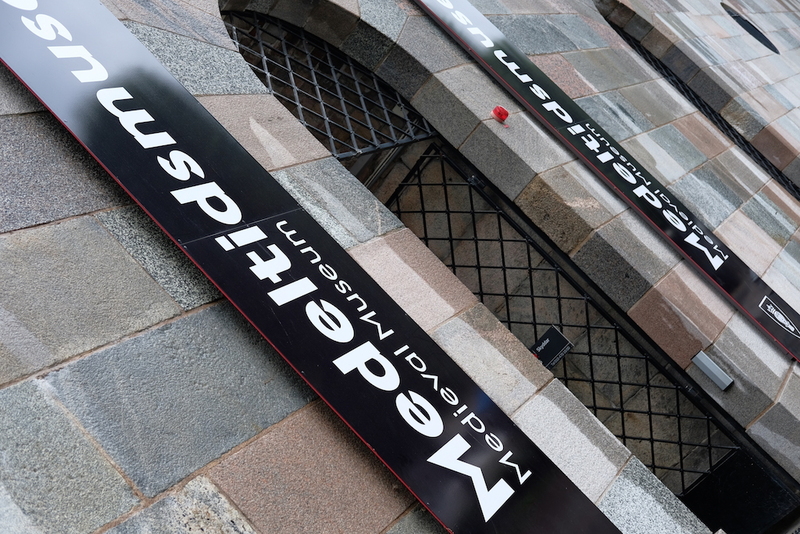 This state museum exhibits contemporary and modern art, and is located on the island of Skeppsholmen, about 2.5km away from the area where the Royal Palace, the Parliament House, and the Royal Swedish Opera House are located. 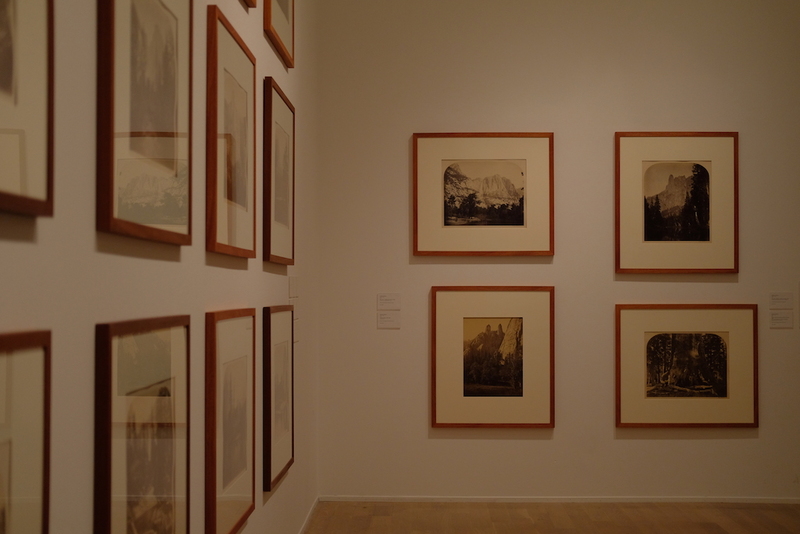 Modern Museet’s exhibit is an extensive selection spanning through 100,000 photos, 60,000 paintings, and more. 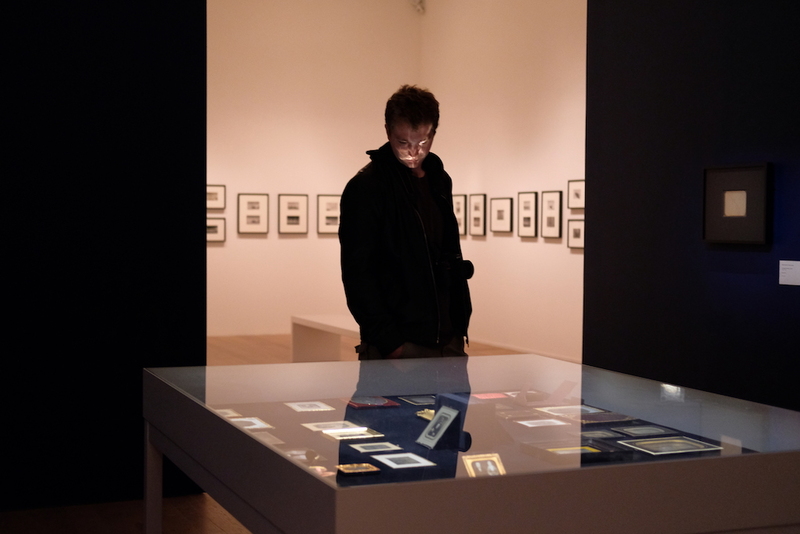 Both Swedish and international works of art are exhibited herein, even pieces by Pablo Picasso and Salvador Dalí can be found within Moderna Museet’s premises, surely making it a must-visit when in Stockholm; and yes, access to this incredible collection will cost you nothing! 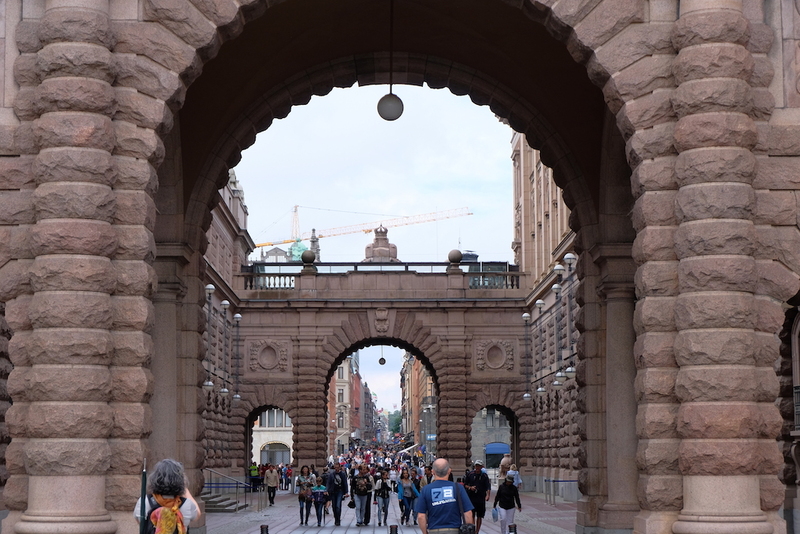 After our visit to Moderna Museet, we decided to head back to the vicinity of Parliament House, this time to check out the Museum of Medieval Stockholm – another museum in the city that anyone can visit for free. 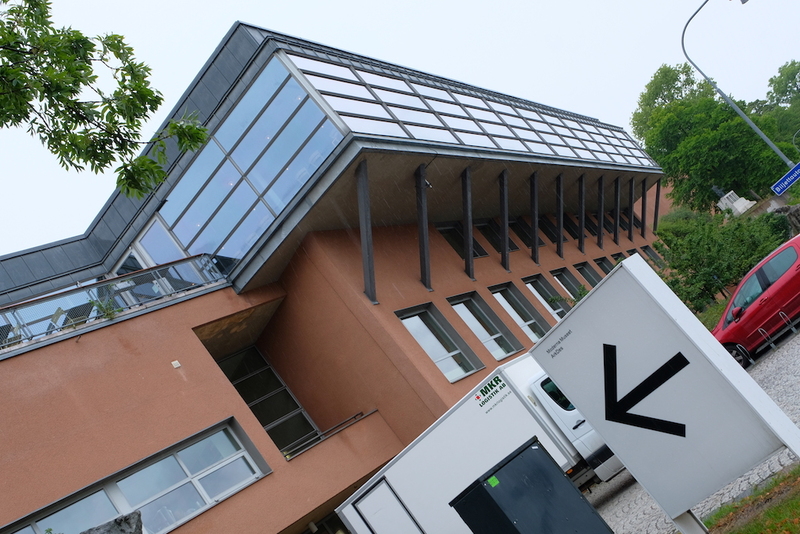 It is situated right in front of the Parliament House, down an outdoor staircase. It took us a while to find where it was, as GoogleMaps didn’t include instructions to go down a level, but alas, we found our way. 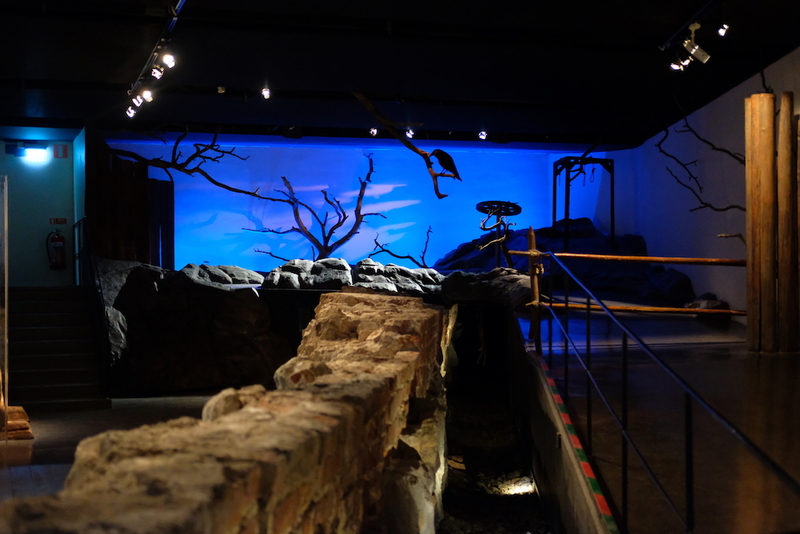 The grounds of Museum of Medieval Stockholm was brilliantly excavated in the 1970s, making it the foundation of what is now known as one of the most popular museums in the city. 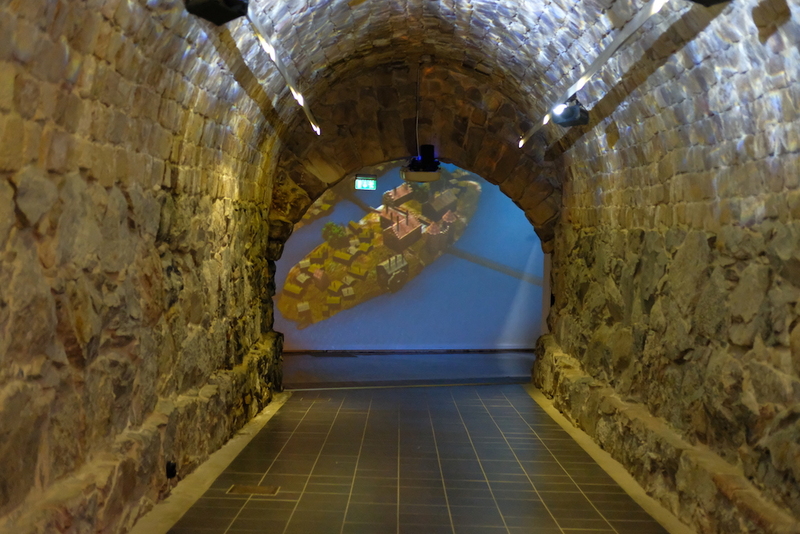 Herein, you’ll learn about the long history of Stockholm in this underground haven whose highlights include a viking war ship, a medieval graveyard, and a preserved 16th century town wall. 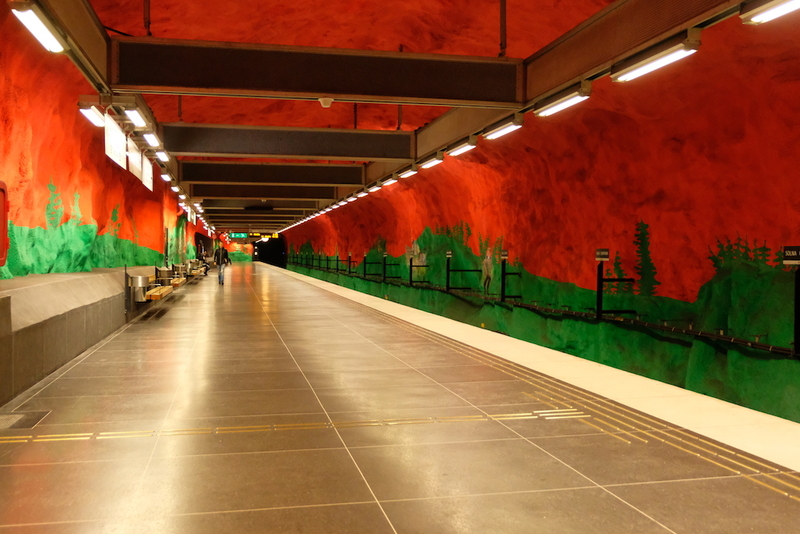 And now… my favorite part in all of Stockholm, as previously mentioned in 7 Reasons to Visit Stockholm. 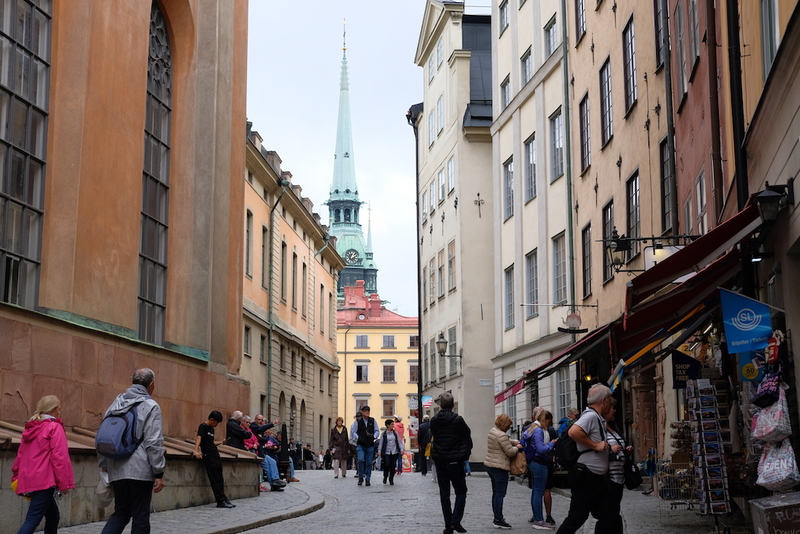 Gamla Stan, also known as the Old Town of Stockholm and is actually its own island, is one of the most beautiful Old Towns in all of Europe. 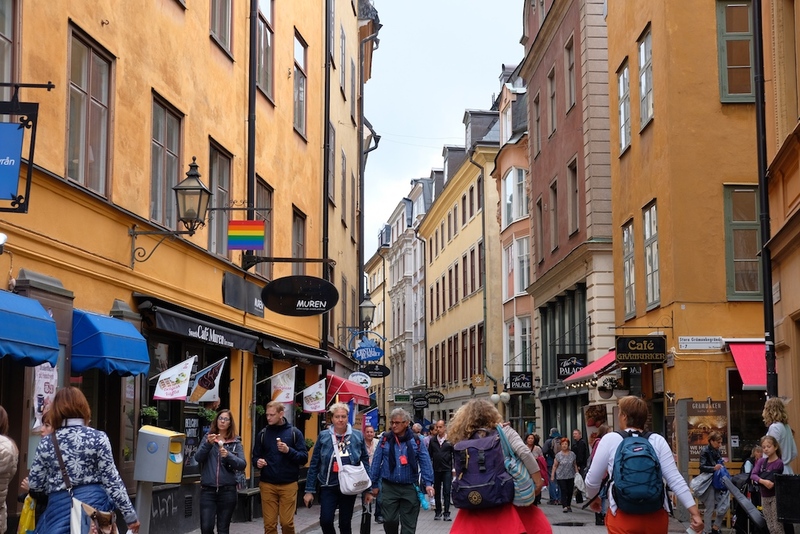 I’ve always deemed Stockholm to be one of the grandest cities I’ve visited, and Gamla Stan surely is representative of that with gorgeous roads and alleyways to greet visitors at every turn – and you don’t have to spend a dime to be able to appreciate all of it. Simply walking around will be more than enough. An architectural beauty, this is truly a place I could easily spend a whole day exploring on my own, as it would be hard to run out of things to discover and see with several retail shops & dining options to choose from; and the fact that every area in Gamla Stan is absolutely pleasing to the eye definitely makes it a must-visit when in the Swedish capital. 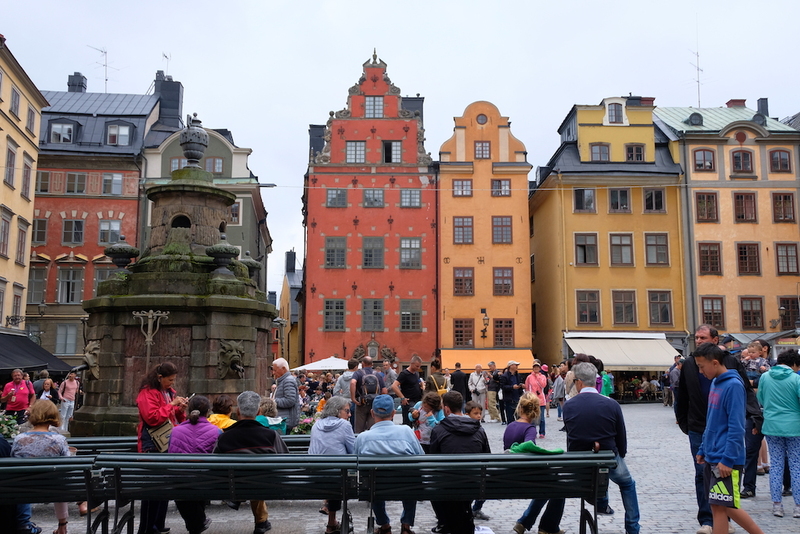 Though located within Gamla Stan, I believe Stortorget deserves a separate spot on this list as it can easily stand on its own, apart from being part of Gamla Stan as a must-visit. 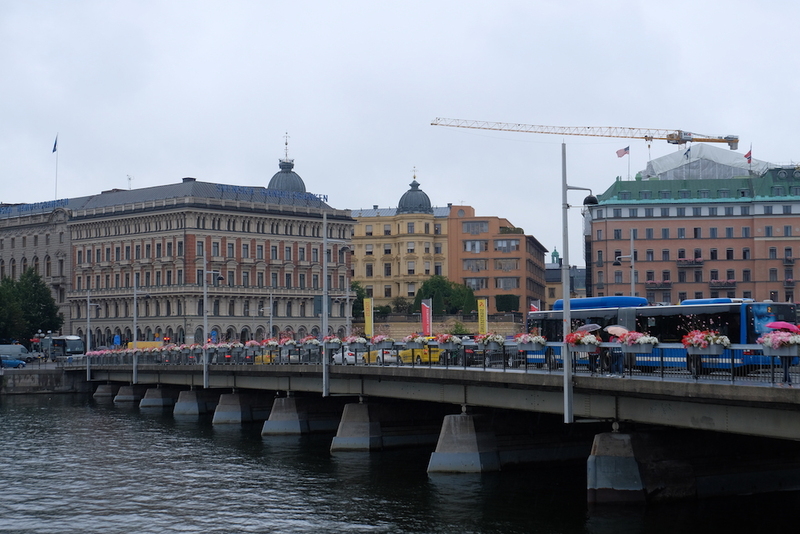 The oldest square in the whole city, this open area actually houses the Nobel Museum & Library. To enter the Nobel Museum & Library will cost you an entrance fee, but if you’re not up to spending a dime like we were, then just sitting within this square and enjoying the ambiance is an attraction in itself. 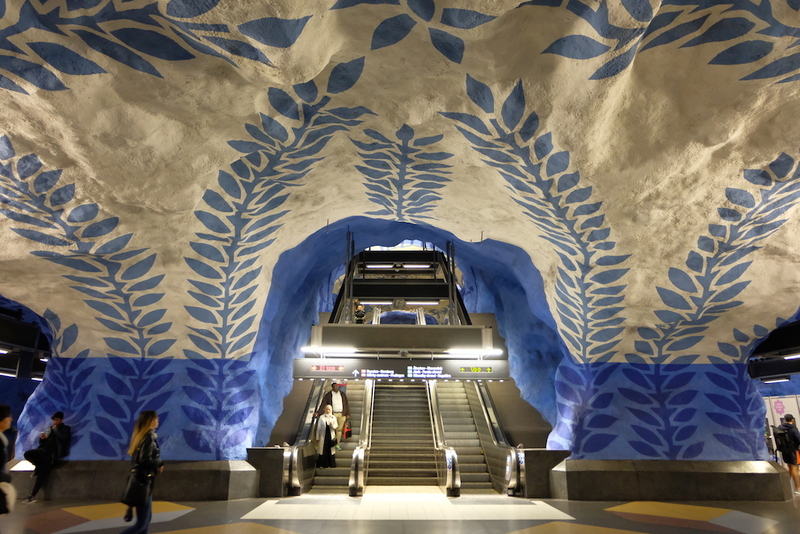 Metro Stations in Stockholm are underground art exhibits, as published in an article in The Guardian. 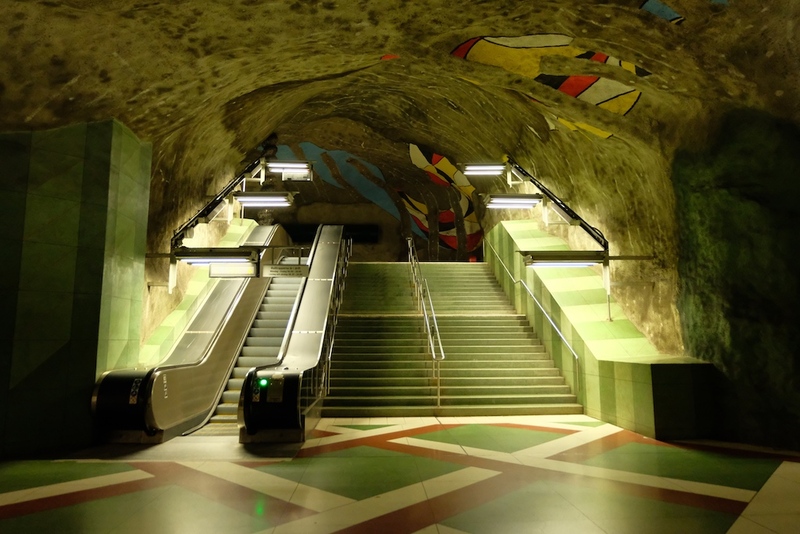 During this trip, we decided to spend our last few hours in the city scouting for some of the city’s most colorful metro stations. The following are those I highly recommend for you to visit; if you already have a subway pass or TravelCard like we did, this excursion won’t cost you a dime! 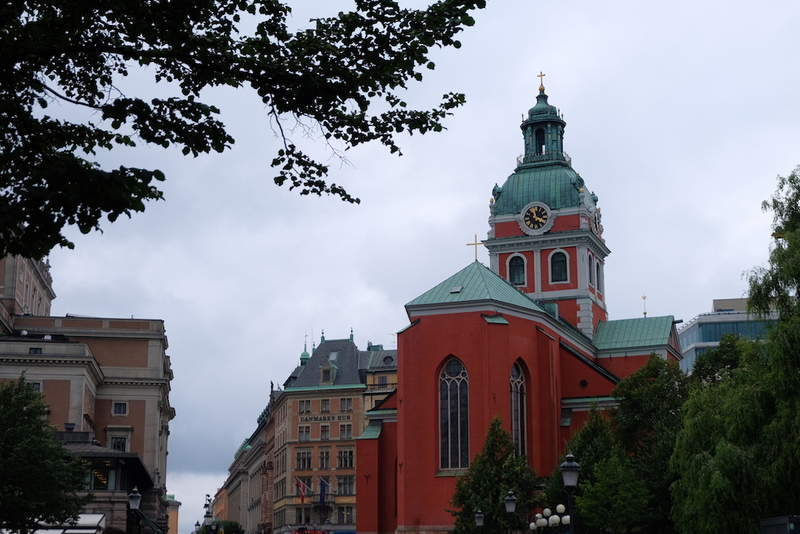 As we exited from the Kungsträdgården Metro Station, we found ourselves once again in the area where we began our day, and before heading to our last stop for this trip, we stopped over at Saint James’s Church, also known my its local name: Sankt Jacobs Kyrka, which is the most central church in all of Stockholm. 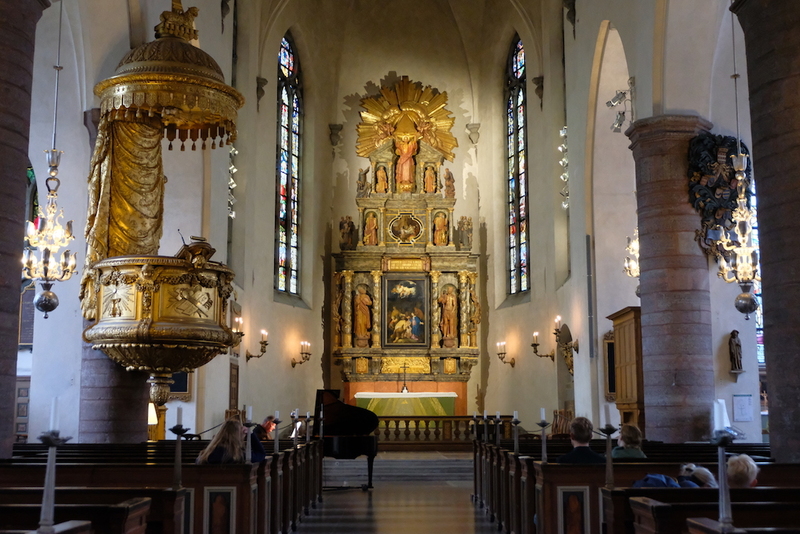 This stop comprised of taking a break from all the walking we did, as we admired the interiors of this historical icon, and were fortunately treated to gorgeous piano music playing live echoing through the corridors of Saint James’s. Again, we enjoyed all of this for free. 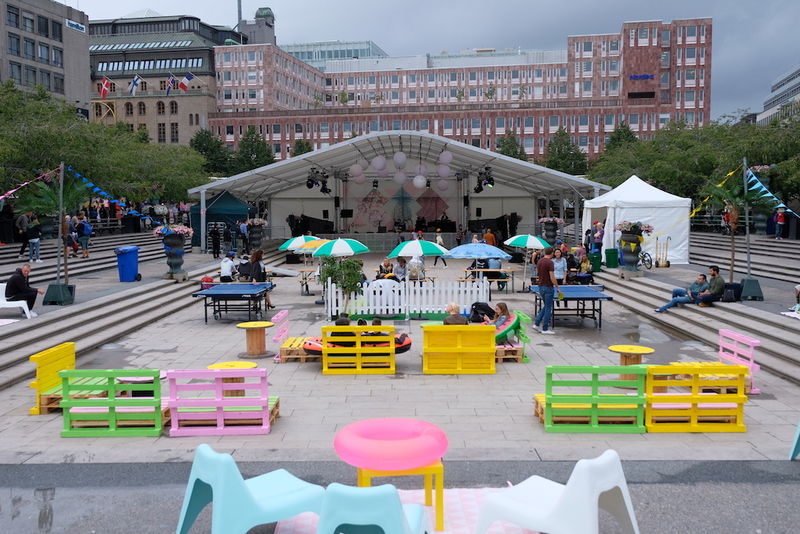 Rounding up this list is Kungsträdgården, locally known as Kungsan – Swedish for “King’s Garden.” Known for hosting city events and concerts, Kungsträdgården is also lined up with restaurants and cafés to choose from. 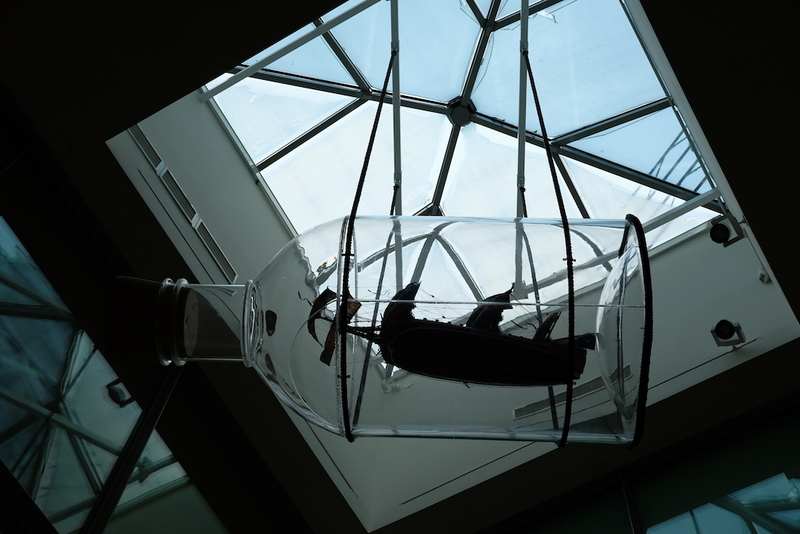 Should you wish not to spend anything, there are tons of open spaces for visitors to freely lounge around in. The park is so huge that it is divided into four areas, and can easily take up your whole afternoon. 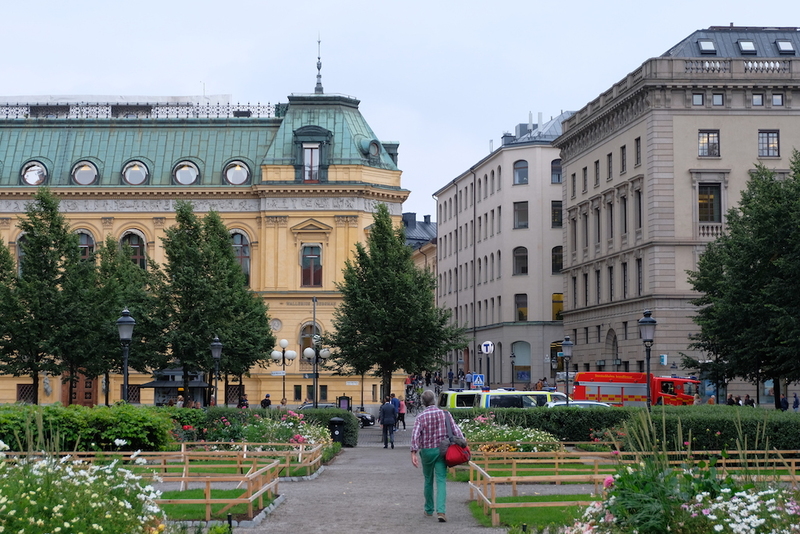 Ending our day in Stockholm in Kungsträdgården was a refreshing way to bid adieu to one of the most stunning European cities, which I hope to return to for the third time. 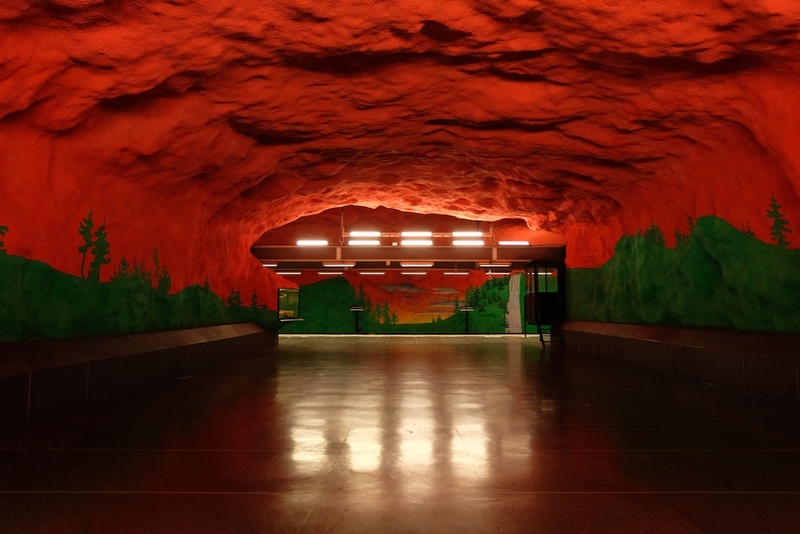 Without spending a dime aside from our initial outlay for the TravelCard, we managed to see tons of places as listed above; so if you’re worried about your budget should you plan to visit Stockholm, keep in mind that this generous city has tons to offer visitors that wouldn’t cost them anything. This, of course, left us with smiles. 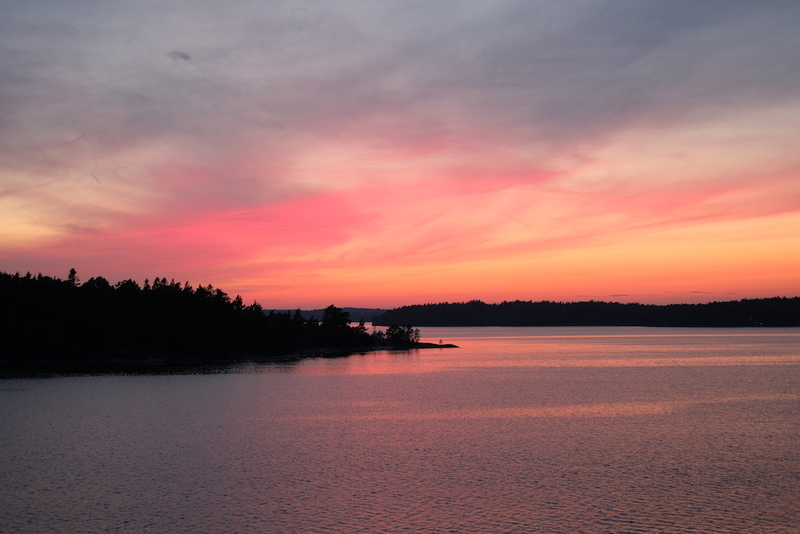 To cap of the great day, we were treated to an incredible view of the sunset, as we sailed out of Stockholm onto our next destination.